Metal Gear Solid V comes in two iterations. 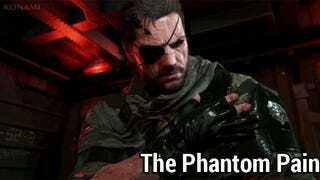 There is bite-sized MGS V: Ground Zeroes, released in 2014, and the upcoming (and much, much longer) MGS V: The Phantom Pain. As pointed out by the MGO Forums, here’s a comparison that shows the differences between both games. MGO Forums shows how nearly the exact same helicopter scene appears in clips for both Ground Zeroes and The Phantom Pain. What’s interesting isn’t just the varied lighting, but also the character tweaks, because TPP is set nine years after GZ.